Take a journey to Morocco – an amazing country that affects all your senses. Ancient and bustling medinas, mysterious and lush mountains, desolate Saharan dunes, streets lined with snake charmers and storytellers, the constant aroma of spices tantalising your senses. Welcome to Morocco! From the fast paced city of Marrakech with its mix of vibrancy and excitement to Morocco's oldest city, Fez, with its labyrinth of tiny streets, with some of its houses only accessible by a drop ladder, Morocco is an inviting country full of big flavours, full of colour and rich in taste. Be prepared to leave with satisfied taste buds and a rounder belly. Let Greece and Mediterranean Travel Centre Take You on the Trip of a Lifetime. The Greece and Mediterranean Travel Centre is your local boutique Australian owned and operated company, designing holidays with the Australian traveller in mind for over 15 years. With personal, hands-on service, you can rest assured that your holiday will be impeccable from start to finish. The staff at the Greece and Mediterranean Travel Centre are the destination experts of Greece and the Mediterranean. Its itineraries and recommendations are based on a wealth of personal experience and include exclusive offers, products, and knowledge not available elsewhere. Consider the Greece and Mediterranean Travel Centre a one-stop shop for all of your travel needs. Its international travel concierges will offer guidance and recommendations and handcraft a stress-free, picture-perfect holiday. Experience the freedom to create your own customised itinerary. 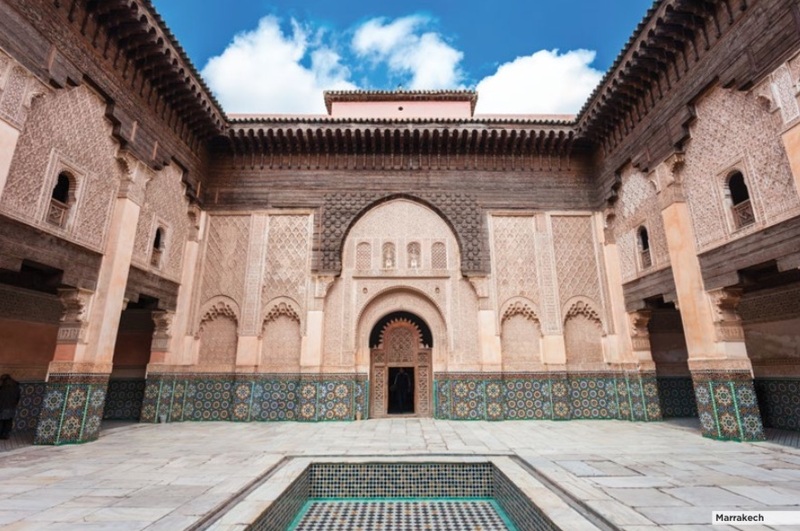 Discover Morocco in your own way – with the full support of a highly experienced international tour operator. Select from a wide range of travel styles and meticulously organised itineraries sure to suit every taste. The Greece and Mediterranean Travel Centre holidays are perfect for all budgets from modest to luxury. Avoid holiday sticker shock with its pricing policy – you'll know exactly what's included so there's no need to worry. Start the trip of a lifetime with a simple phone call or email. The cost of your holiday is locked in with a deposit protecting you against exchange rate fluctuations and there is never a surcharge for Visa or MasterCard use. The Greece and Mediterranean Travel Centre is accredited ATAS, the Australian Federation of Travel Agents scheme, proud members of the Australian Federation of Travel Agents (AFTA) and Council of Australian Tour Operators (CATO). The Greece and Mediterranean Travel Centre's local representatives are available in Malta 24 hours a day, 7 days a week to its customers for attentive, responsive service. Its travellers return satisfied after every trip due to the Greece and Mediterranean Travel Centre's helpful team both in Australia and overseas. People who ordered Morocco for independent travellers also ordered the free travel brochures below. Click on the images to find out more about these brochures.